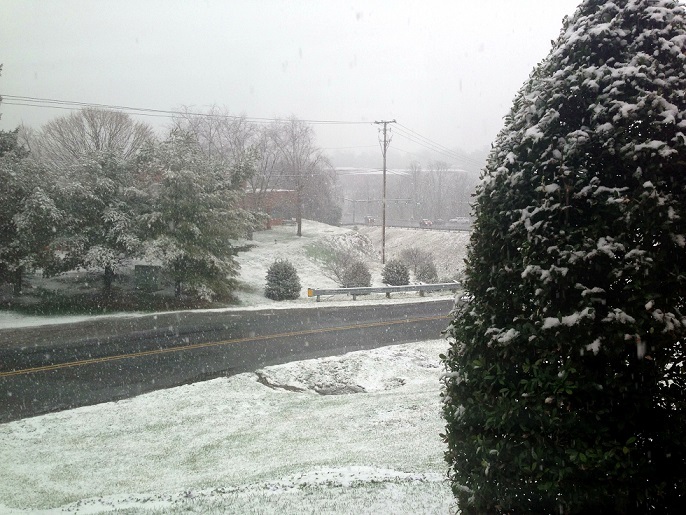 This is crazy-there'a an inch of snow on the ground in Roanoke...on April 4th! We were out touring properties in this beautiful valley of ours--admiring the yellow forsythia--the tulips, the daffodils--we even saw some people mowing their grass...and then it seems like we blinked and out of no where......am I dreaming??? ?